Marbella mountain activities offer families a vast array of year-round options for the entire family to get in touch with the Costa del Sol's beautiful ecosystem. Whether you are interested in a short walk to a vista point with the entire family or an aggressive rock climbing adventure, Marbella offers everything you can imagine - and more! This page highlights some of the numerous Marbella mountain activities available in and on the the Costa del Sol. You will also find expert guides who are experienced in working with families, including children of all ages. 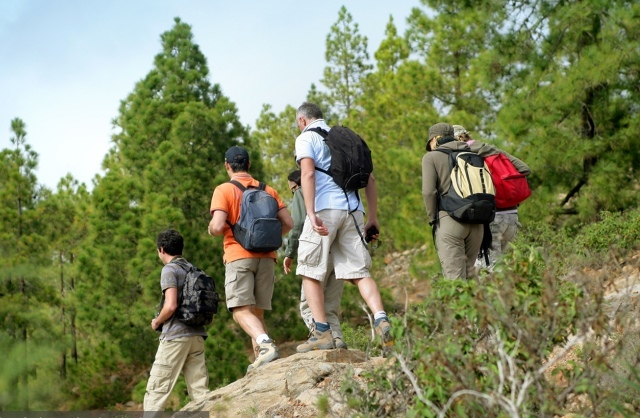 Have you found a great hiking trail in Marbella that you think others would enjoy? Let us know about it using our Share a Tip feature in the function bar, above. We'd love to hear your recommendations! Marbella Buggys are a great way to see parts of Marbella you would never have the chance to access otherwise. There are numerous buggy rental companies in the area who have everything you need for a great adventure. Canyoning allows you to explore Marbella's canyons using a variety of techniques including, scrambling, climbing, jumping, abseiling, and swimming. A fun and exciting way to explore nature! 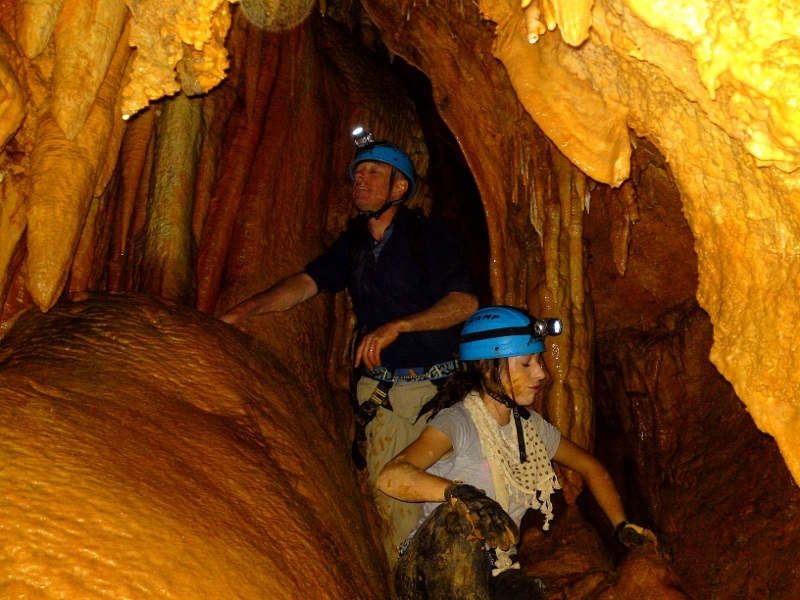 Caving allows adventure-seekers to journey back in time and explore Marbella's hidden mountain caves. A fantastic adventure for those looking for those interested in geology, exploration and nature. 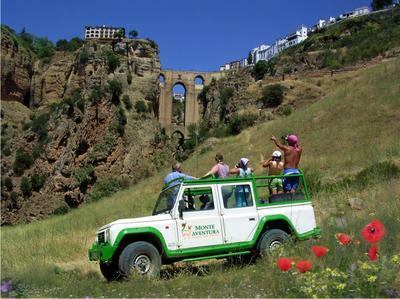 Ecotourism is a fun way for the family to explore the Andalusian countryside off-roading in a jeep with competent guides. Explore a nature park in an open-rood jeep and discover the Sierra de las Nieves Nature Park. Fishing in the Mountains is accessible minutes from downtown Marbella! If you enjoy casting a rod and reel and hooking a fish, you and your family can enjoy fishing in the great Marbella mountains. Great time for the kids as well! 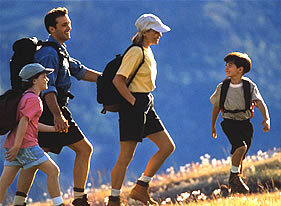 Hiking in Marbella is a fantastic, year-round activity accessible to families with kids of all ages. From easy, 1-hour walks in the mountains of Refugio de Juanar to advanced, 3-day treks, there are numerous mountains to conquer! Hiking for Kids & Families is easy to do with trained guides who will take care of all the details. An excellent way for families with kids of all ages to discover that Marbella's mountains are just as sensational as its beaches! 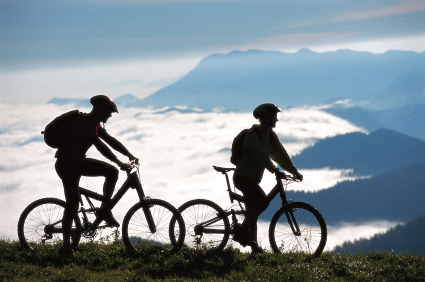 Mountain biking is a world-class experience in Marbella. There are literally thousands of kilometres of bike trails through the mountains where the vistas are unparalleled. 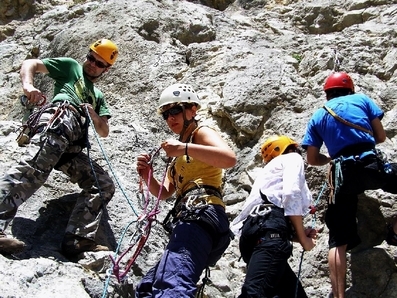 Rock climbing experts will love what Marbella's mountains have to offer. There are numerous intermediate and advanced paths for the aggressive climber to discover. Rock Climbing for Kids & Families is also accessible very close to Marbella with trained guides who will provide you with detailed instructions and the right equipment to get introduced to a fantastic sport! 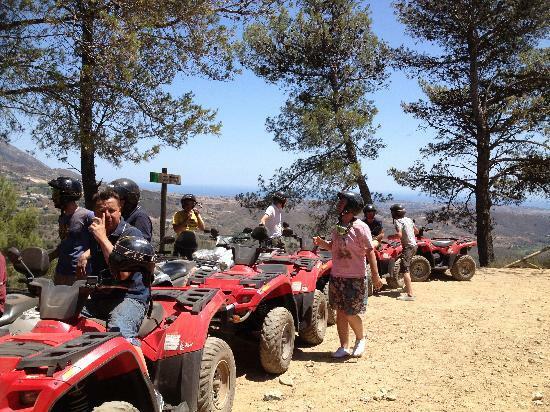 Quad biking in Fuengirola is a great way to experience the beautiful sights of the Cost del Sol´s Mediterranean Sea, sand dunes, and spectacular mountain ranges all offering breathtaking views and sights. Marbella Rent A Bike has over 200 bicycles in its rental fleet including high quality city bikes, mountain bikes, road racing bikes as well as bicycles and carriers for children. Have a bike that needs immediate repair? 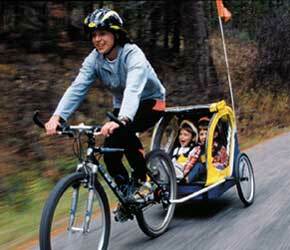 Marbella Rent A Bike can take care of you as well with its experienced service team. Ice climbing isn't a sport you would believe to be synonymous with Marbella - but it's nearby! Local experts have the equipment and the guides to take you to some of Spain's most adventurous ice climbs! Skiing in Sierra Nevada gives you access to Mulhacén (3,479 metres), the highest elevation in continental Spain. 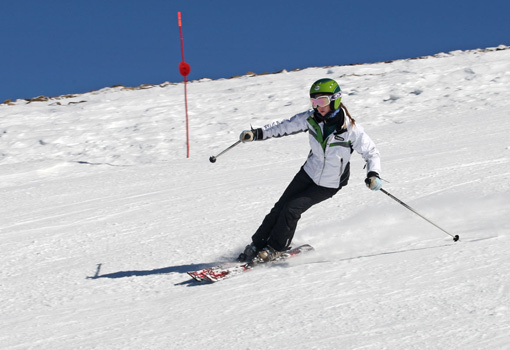 It is a very popular destination and also is Europe's southernmost ski resort with abundant sunshine for great skiing! 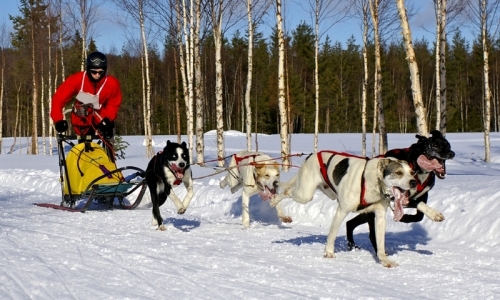 Dogsledging is accessible in the snowy mountains near Marbella and offers an exhilarating way to experience the outdoors, nature and the tremendous energy of canine propulsion. 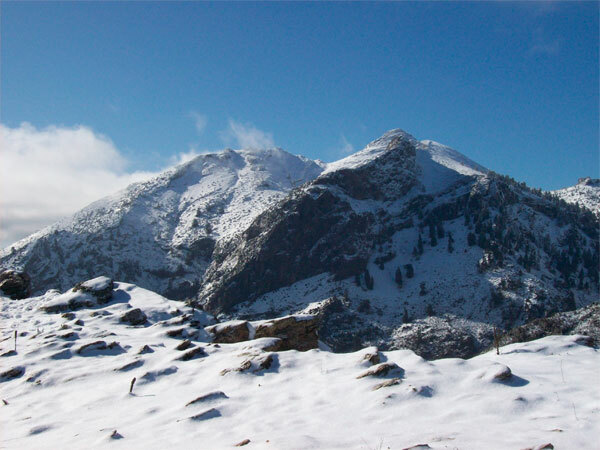 Sierra de las Nieves is a refuge about 1 hours drive from the shores of Marbella. During the winter, this is one of the closest places you can actually take the family to the snow for sledding, hiking and playing in the snow. 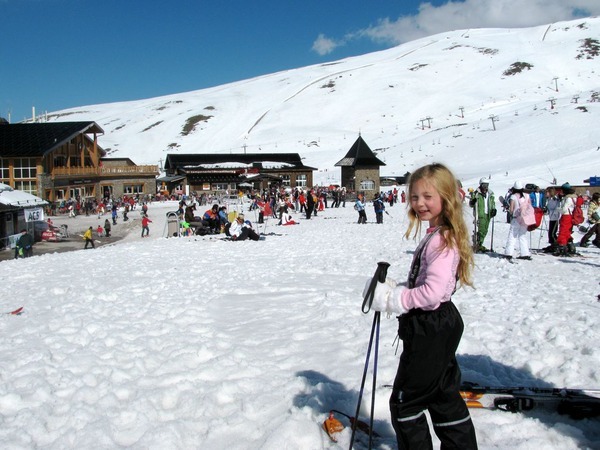 Ski trips with Marbella Ski Club offers door-to-door service for your family and kids of all ages to experience Sierra Nevada without having to worry about transportation, ski rentals and accommodations. They take of it all for you! 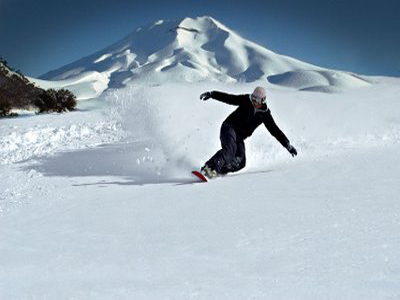 Snowboarding lessons are a great way to engage the mountain in a totally new way. Lessons can be arranged in Sierra Nevada to get you quickly acclimated and enjoying the sport without hassle. 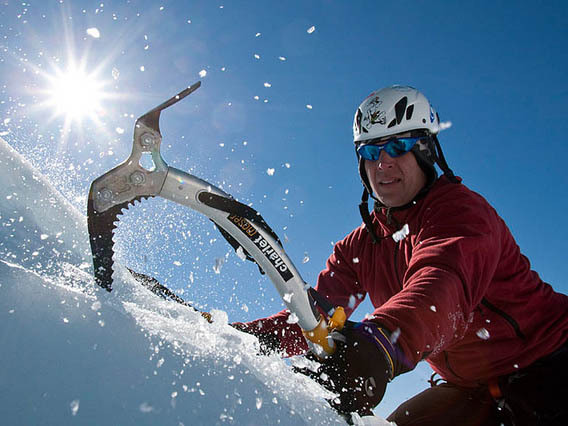 Have a question or recommendation about mountain &/or snow activities in Marbella or the Costa del Sol? Have you been somewhere that we don't know about. Do you have a question or a recommendation? Share it here! Enter the Title of your Question or Recommendation about Marbella mountain &/or snow activities. Guide to climb La Concha? I am looking for a private mountain guide to take me along trails in the mountains near Marbella/Malaga. For more information on Marbella hiking trails, try MarbellaTrails.com!